Special Place for the Pets in the Courtyard Pets are members of the family, and exactly like humans, they deserve their space inside the living place. It is not simple to provide a separate place for them in buildings while houses and farms are usually surrounded by courtyards. Dog fence in the courtyard provides the necessary protection of the pets. Dogs are taking their service seriously. They are guardians of the property and the protectors of the poultry, sheep flocks or crops, and they can also be a target for predators. They can easily get into a conflict with the wild animals. By keeping the dogs inside the dog fence you prevent the damage that may occur from the fray. On the other side, the poultry is also protected. In most cases, dogs will not do any harm to poultry but they are curious creatures that like to play. By running after the poultry, they can scare or injure the birds unintentionally. The type of the fens depends on the breed, size, and character of the dog. Breeds that are large in size demand higher and sturdy fence. 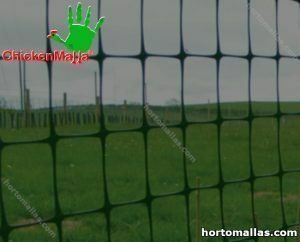 Various types of the fences differ according to the material they are made of and according to the purpose. The first task of the dog fence is to keep pets close to the home. The is usually positioned near chicken run the kennel. The poultry is safe in there but the presence of the dog adds to the safety. Statistics prove that farms with the permanently present dog have reduced losses. The loud woof deters some predators and warns the owners of the property. As a responsible owner, you would always aim to provide your pets with what they like most – fresh air and the freedom to explore. The pets enjoy the time outside but the standards of their protection are rigorous, and keeping cats and dogs safe is a must. Dog fences can be placed in yards or on farms and helps avoid damage to crops and keeps poultry safe. To build a traditional dog fence in the garden is a demanding job. After you have planned the budget and determined the ideal place for it, you can invest a certain time to consider the best type of the fence not only for your pet but for your courtyard as well. The fence should not disturb the overall appearance of your property. It will protect men’s best friend providing him enough room to move and roam. An outside kennel has enough of fresh air and at the same time, animals can see what is going on around them. If the weather conditions are not ideal, they can find a shelter in the dog’s house or under the shed. Traditional fencing is an option that had been mostly used overtime since not everyone likes electric fencing. There are many ways how the fenced space for your dogs could look like. One of our recommendations is to cover the ground with the wooden cheaps. In this way, you will prevent the paws injuries that may occur by digging the ground. It also helps in smell control. As a responsible owner, you are aware that the confined space eliminates potential threats. If you have a spacious courtyard, building a dog fence might be expensive. Hidden, underground fences are another solution. In this case, the dogs have to wear a special containment collar that will emit a sound if the dog approaches the area he should not enter. After the sound, the electrostimulation will make a dog return.In-ground wire or wireless fences work with a receiver collar but only the traditional fence is a physical barrier that keeps your courtyard clean, enables children to play undisturbed, and allows chickens to run freely. Before building the fence for dogs it is recommended to find the right place and have the budget to build. Deer jumping over fence is not a rare case on the farms. Dogs can do the same. If the fence is not high enough, they will find the way over or under the fence. In most cases, custom designed dog fence has been built as a combination of wood and steel. One great idea can represent an inexpensive solution. Especially if you decide to surround the house with the fence, you can think about affordable materials that will match the purpose. You can also decide to have a double fence, one that will surround your property and the internal one that will confine the space for your pets. The fence extension will prevent your dogs from climbing or even jumping over the fence. Most dogs are fond of digging. They do it for fun because they are attracted to some smell or as a result of some excitement. It can be a problem if you have a vegetable garden or flowers. While playing, they can ruin your effort and make some serious damage or financial loss. In their confined space, digging is not a problem, and you can let them do what they like most without having any worries about your plants. However, you should be careful to avoid them digging under the dog fence. Holes may destabilize the fence. The combination of wood for posts and chicken wire is the inexpensive, fast, and efficient solution for fencing your dogs. You can cut the mesh into the desired size and attach the mesh to wooden posts tightly. 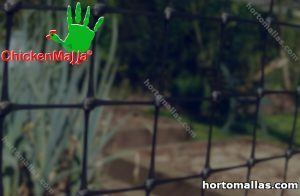 We would kindly recommend you to roll the sharp edges of the chicken wire inward, bury it at the base of the fence and put heavy stones or chain link on the ground. In this way, the fence will remain stable for a long time. Your dogs will be safe and protected, and still, they will be a part of the outdoor activities. Dog fences must be custom built and forged so that dogs do not jump or dig under the fence to escape.